Collecting weirdos and telling their stories. Meet John Young, a math teacher and triathlete from Salem, Massachusetts. Listen in as I chat with John about his unique journey, health epiphany and how attitude can change your life. Get ready to be inspired. Be sure to stay tuned after my chat with John for a final round of speed dating with Andrea Boehlke, my Survivor: Game Changers tribemate. See if I can recover from an awkward moment in our conversation from last episode. Meet Sarah-Jean Greaves (SJ) aka Delilah Doom, a professional wrestler based in Texas. She’s spunky, sincere and has one heck of a style. Listen in as Aubry and SJ catch up for the first time in years, and get to know a little bit about the world of professional wrestling. Be sure to stay tuned after my chat with SJ for a second round of speed dating with Andrea Boehlke, my Survivor: Game Changers tribemate. Thanks for calling in, SJ. You’re the best! Meet Jeryl Jagoda, a social media expert based in Los Angeles. Jeryl manages her own social media business and has tweeted for everyone, including Ricki Lake. She’s created social media strategies and managed crowdfund efforts for documentaries. Tune in to learn more about another side of the social media world. Plus! Tune in after Jeryl’s interview for some “speed dating” with Andrea Boehlke, Aubry’s Survivor: Game Changers tribemate. Thanks for coming on the show, Jeryl. And Andrea, thanks for continuing your showmance with me! Meet Alex Apple, a winner of MTV’s reality competition show Stranded With A Million Dollars. Alex was in Fiji last year filming a survival show just like Aubry. SURVIVOR fans will enjoy hearing about the similar and different experiences Aubry and Alex had living out in the South Pacific jungle with interesting characters (and a WHOLE LOT of coconut). Thanks for joining me, Alex! Meet Mike Sullivan, co-host of the podcast Fink Beat the Stomach, which covers the wild and wacky world of competitive eating. Mike’s love for competitive eating was born at the annual Nathan’s Hot Dog Eating contest on Coney Island and went from there. So dig in and take a bite out of the world of competitive eating. Thanks for joining me, Mike! Meet Dr. Darcy Sterling, a Licensed Clinical Social Worker, founder of Relationship Skills Bootcamp and host of Famously Single, currently in its second season on E! Network. Aubry and Dr. Darcy have both participated on reality television shows and have an appreciation for mental health. Listen in as Aubry and Dr. Darcy share their learnings on emotional intelligence and self-improvement. Thank you for appearing on the show, Dr. Darcy. Meet Joe Del Campo, Aubry’s closest ally on SURVIVOR: Kaôh Rōng. There’s much more to Joe than a stint on reality television. This soon-to-be-74-year-old is adventurous as a 12-year-old. From his years as an FBI agent to raising Yorkie rescues, there’s only one thing Joe doesn’t do — sit still. 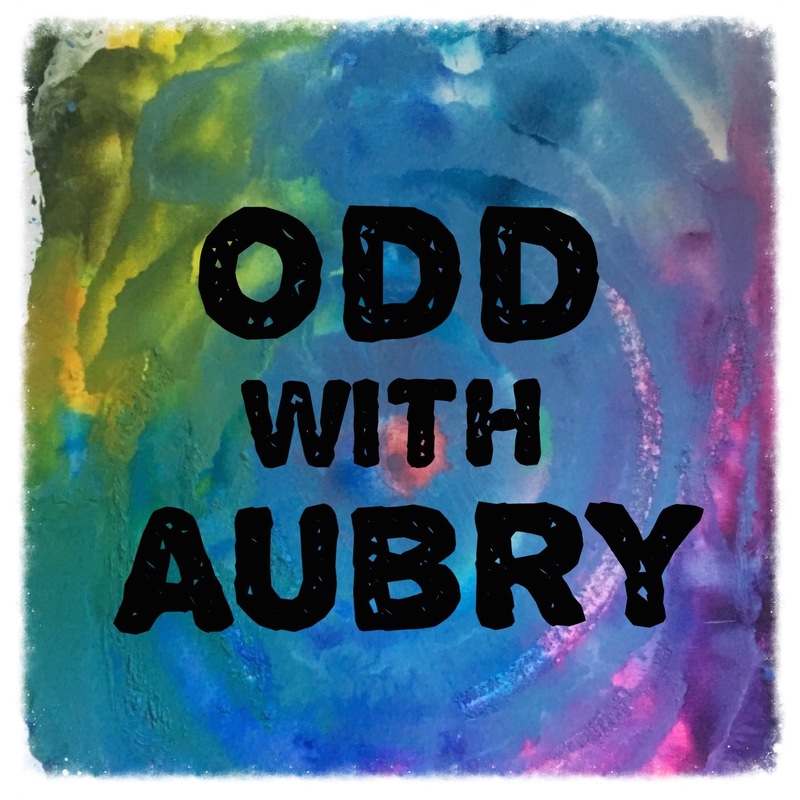 Get to know this gem on this week’s Odd with Aubry. Thanks for joining me, Papa Joe. Peace and love. Meet Marissa Emanuele, a proud Mainer and social media professional. * From street corner deals with people in mascots to chasing down her heroes, Marissa is always on real-life or digital adventures. Listen in as Marissa shares her social media stories and discusses online etiquette with Aubry. Thanks for joining me, Marissa. Keep being your sassy self. Meet William Legault, a native of Salem, Massachusetts and Aubry’s good friend. * The real life Popeye, known around his hometown as BaldBil, is a renaissance man who’s had any and every job and adventure you could imagine. Listen in as Bil shares his best Witch City stories and reminisces with Aubry about their time working together at an online newspaper. Get to know a little more about Troy “Troyzan” Robertson, contestant on Survivor: One World and Survivor: Game Changers on Episode 1 of Odd With Aubry. * The Washington state native shares his laid back attitude toward life, jungle-living tips and puts Neil Degrasse Tyson to shame when it comes to cosmic knowledge.